Dust of Soul works together with musicians & artists all over the world – there have been fusions so far in the countries of Tunisia, Oman, Italy, Germany, and Switzerland – to set a sign for the humanity. This is how various cultural events with a focus on music are created to build bridges between nations. Music is neutral and has the power to connect people in their hearts, creating a peaceful atmosphere, establishing friendships that last for eternity and inspire them to interact with each other. Dust of Soul initiated the Humanity First-campaign in 2015 with a video release by singer Saskia Stäuble on YouTube. The message aroused great interest and founded the birth of Dust of Soul’s biggest campaign so far. Since 2017, Dust of Soul has come out with the message Humanity First. Saskia Stäuble & Michael Odermatt draw attention to important locations and events. The Italian fashion label Cleofe Finati by Archetipo carries its unique creations through several ambassadors to the outside. These include the Italian singer Vittorio Centrone, the Belgian Juan-Manuel Palomo and the Swiss music duo Dust of Soul. In May 2014, the fashion house Archetipo held an after-show party after their traditional fashion show, at which the above-mentioned ambassadors performed. Dust of Soul collaborated with cellist Mohammed Amine Ben Smida on their first CD production under the title Believe. The young Tunisian performs with the Symphony Orchestra Tunis and is a talented musician. The song and video production of the songs Believe and Feel took place in the Saint-Louis Cathedral in Carthage Acropolium de Carthage. The songs and the video were produced by Iheb Ezzaier, co-founder of Flashback Tunis. Iheb Ezzaier is also Tunisian and supported the trio throughout the work. 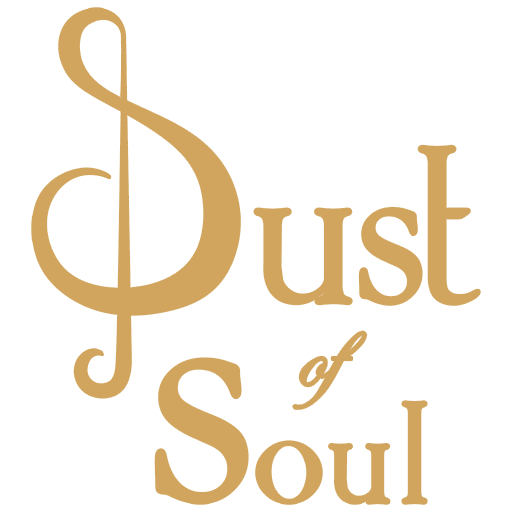 Dust of Soul released the product as a double CD / DVD version in October 2015 during a concert at the Hotel Château Gütsch in Switzerland. Saskia Stäuble was the first Swiss on the morning show Qhawat Alsabah on Oman TV. Having Omani poet Lubna Al Balushi translating her story into Arabic, she told about the Oman Switzerland project Humanity First on 14 October 2017 at the Grand Hyatt Hotel in Muscat, the capital of Oman. The moderator team with Ms Hawra Al Farsi and Mr Saif Alfoori interviewed the two artists about their work and the common cultural event. Journalist Lakshmi Kothaneth announces the cultural event Oman & Switzerland – Humanity First in the renominated daily Oman Daily Observer and writes about the connection between Lubna Al Balushi and the music duo and what awaited the guests. The Swiss music duo Dust of Soul invited to an evening of poetry and music and created a cultural exchange between Oman and Switzerland in the Grand Hyatt Muscat: the multilingual poet Lubna Al-Balushi read from her poetry – including German creations from her book Beauty of the Heart which was published completely in German language. In addition, the young Omani writes poetry in English, Arabic and Balushi. She presented values in all four languages. The music duo Dust of Soul performed their own compositions to the respective poems. This combined poetry and music into a symphony. Would you like to explore more about Humanity First ?